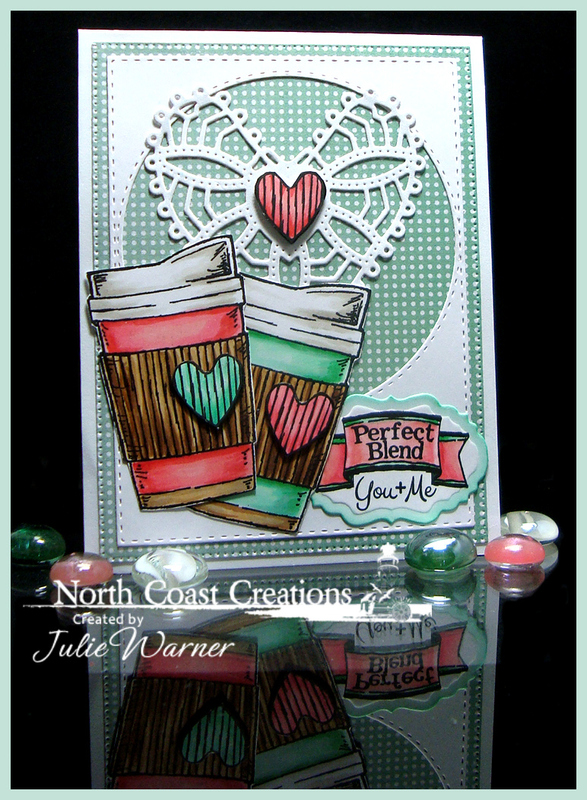 A big Congrats to Kathy, the newest Featured Stamper on Splitcoast! She has such a fun, cute gallery & I chose THIS to case. 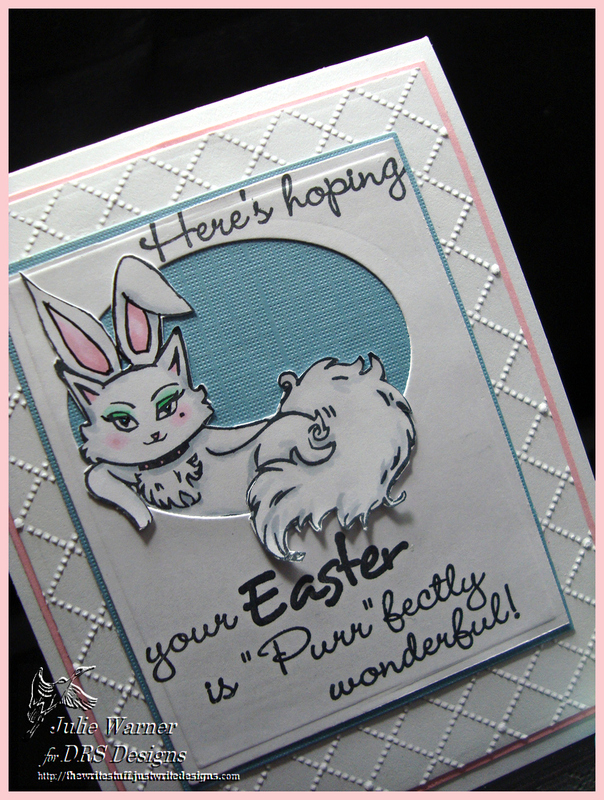 I kept the Easter theme and most of the colors, but I used different images, put my image inside the circle instead of next to it & used an embossing folder instead of designer paper. Since I don’t really have any cute little kid images, I used this sassy kitty image & paired her with a pair of fun bunny ears. After coloring, I fussy cut the kitty & ears and put her in a circular window opening w/ some textured blue paper behind her. The greeting is a combo of a couple of different ones & I used a stamp positioner to split it up in order to fit the panel. 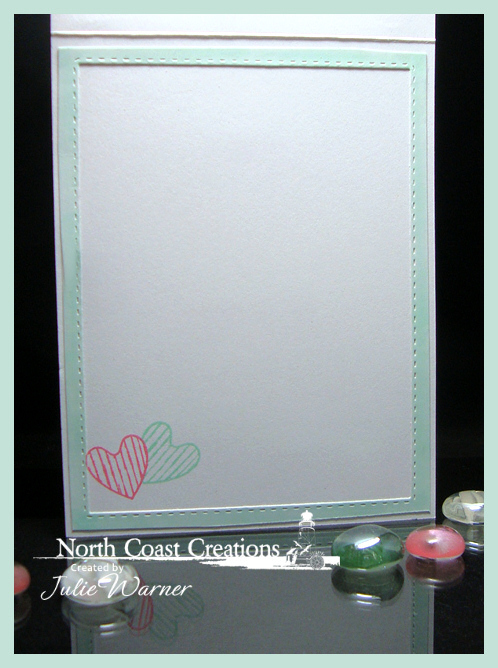 The larger white panel was embossed w/ a lattice like folder & a larger pink panel was added before attaching to the card front. Congrats again, Kathy! Thanks so much for stopping by! 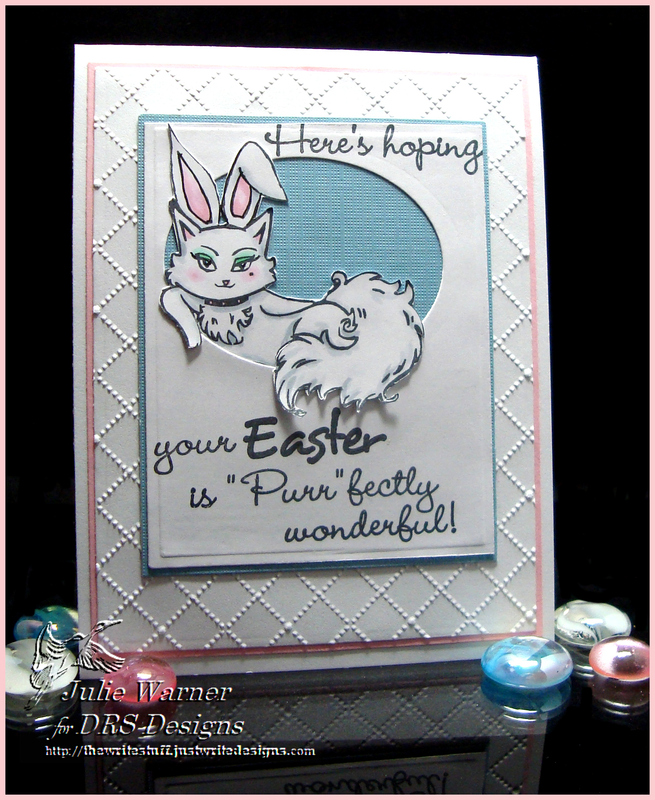 My card today is a combo of the Clean & Simple (CAS361), Color (CC567), and Sketch (SC577) Challenges. 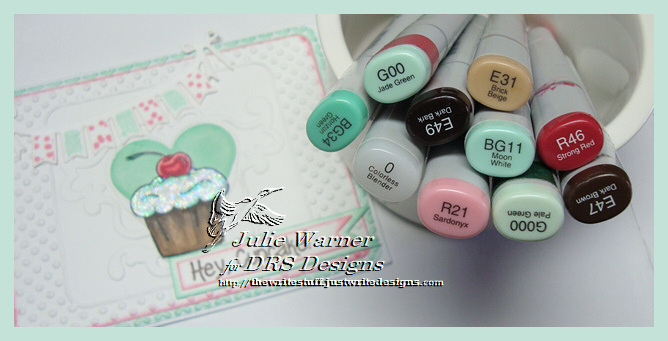 The CAS is to make a sweet treat, the colors are mint, strawberry & espresso & my version of the sketch is a little morphed. Instead of the straight band mine is a curved banner & I had to move the greeting underneath. 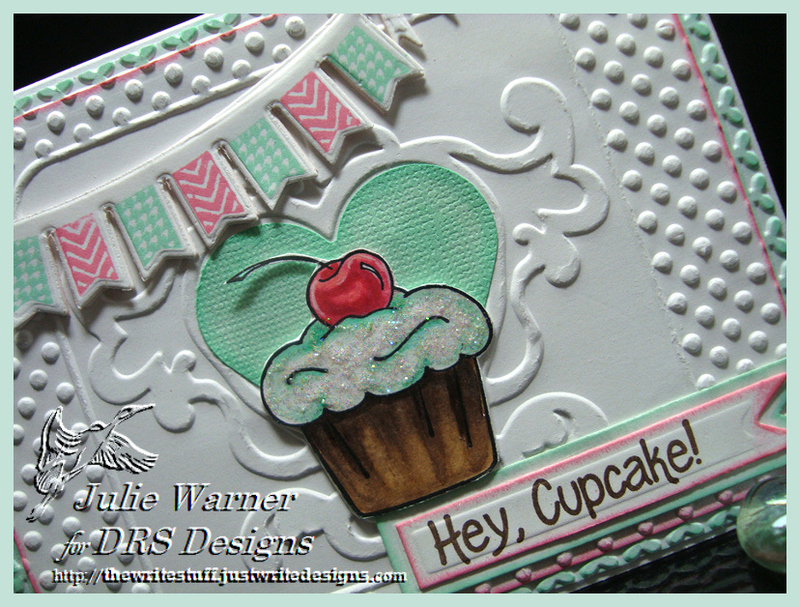 So I stamped, colored & cut out the cupcake (my panel 3) & added some stickles to the icing. 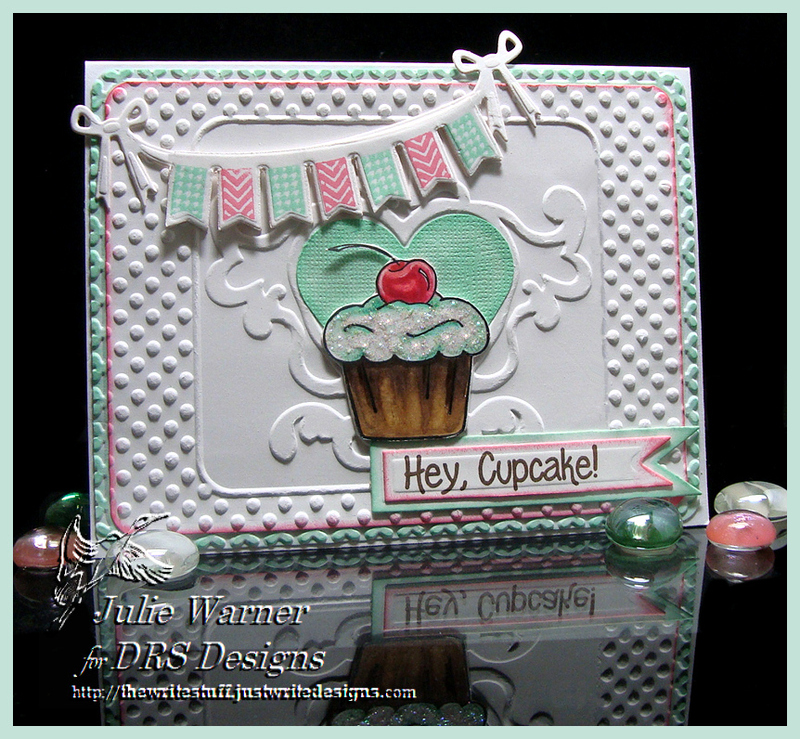 The white bg (my panel 2) was dry embossed & I had a big heart punch that fit inside the heart centerpiece almost exactly (my panel 5), so I sponged on green ink & put it behind the cupcake. The banner (my panel 4) was die cut & stamped using the pistachio & worn lipstick inks & I did remove a couple of the flags to make it shorter. The larger layer (my panel 1)is actually just a frame that was sitting there, so I embossed it w/ frame folder & sponged the green ink over the top of it. 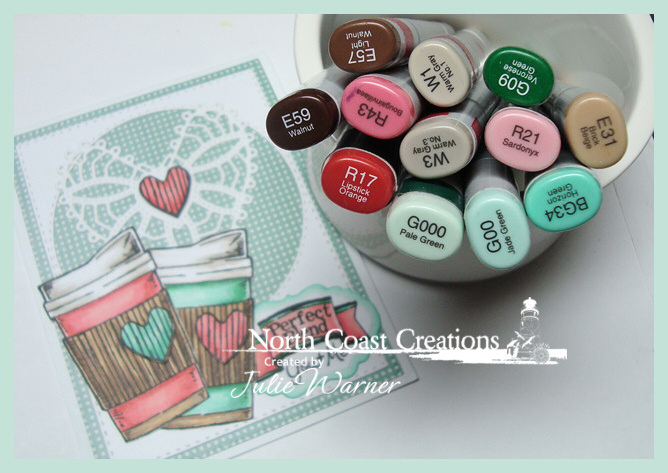 Today’s Color Challenge (CC567) has some pretty colors & the dessert option is a Valentine. Since the colors are strawberry, mint & espresso, I couldn’t get the “espresso” out of my head so coffee was the way I went w/ my card. I put some X-Press It c/s into my Misti, stamped the coffee cups first w/ Memento, colored w/ Copics then overstamped w/ Versafine & cut them out. I did the same to the little hearts & the greeting. I just happened to already have the crochet looking heart already die cut as well as the white topper w/ the stitched circle cut out. Love it when stuff I have laying around fits in so nicely! I added the mint polka dot dp & pretty much done. Here’s a look at the inside. I left it blank for now. I’ll add a greeting inside later. 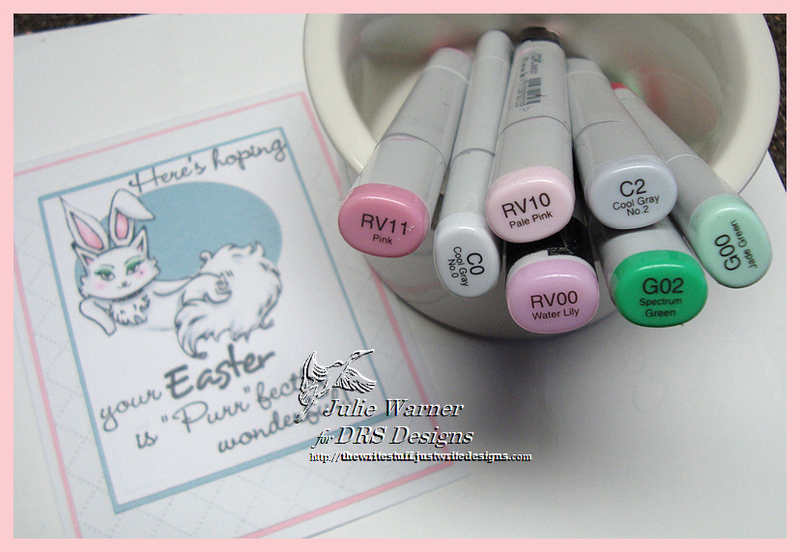 Below it are the Copics I used. 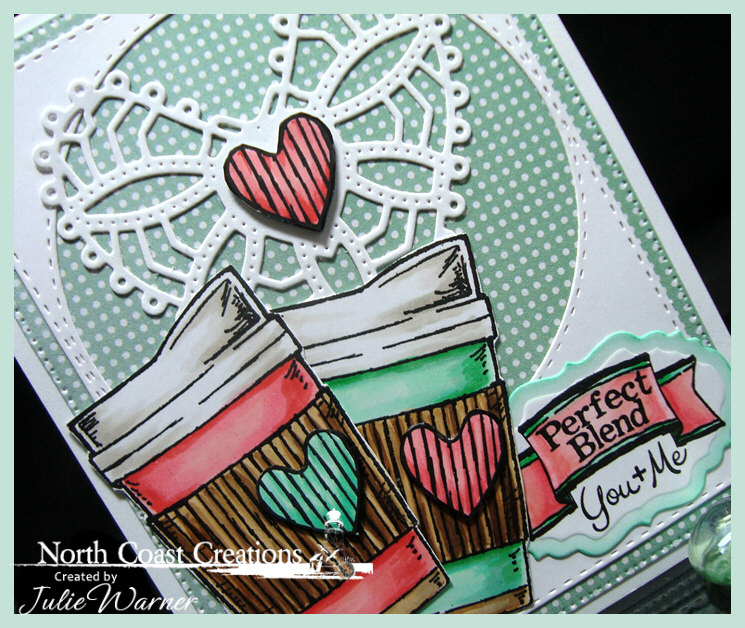 Stamps: North Coast Creations –Warm My Heart, What’s Brewing?